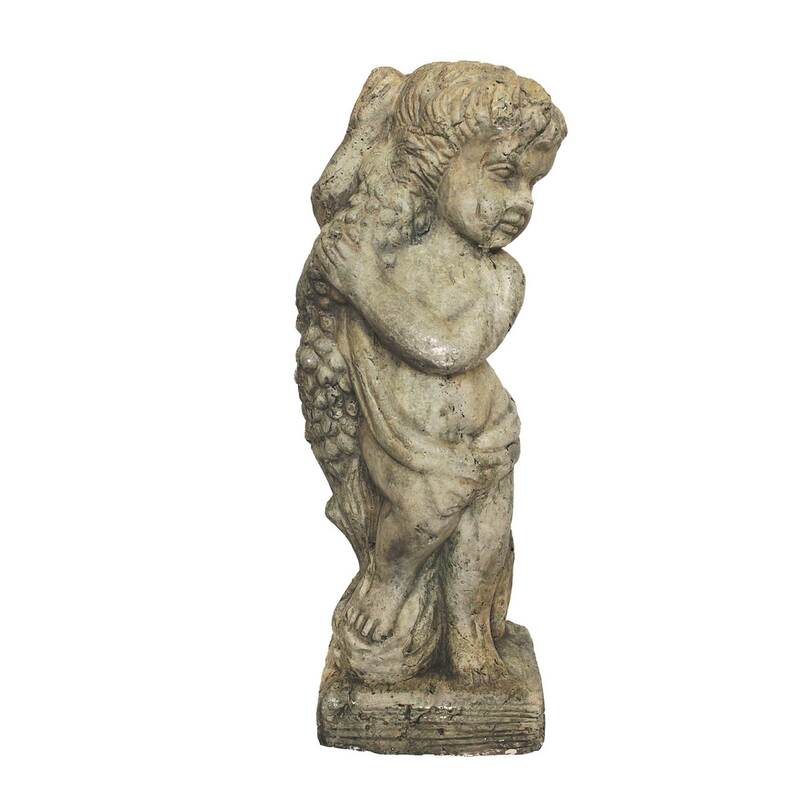 Terracotta Statue, Child With Garland - White x White - Antique and Fine Decor for the Home. Vintage inspired French style garden statue made of terracotta with a "vintage stone" finish. May be used outdoors but the color may change. Must be ordered in multiples of 2.